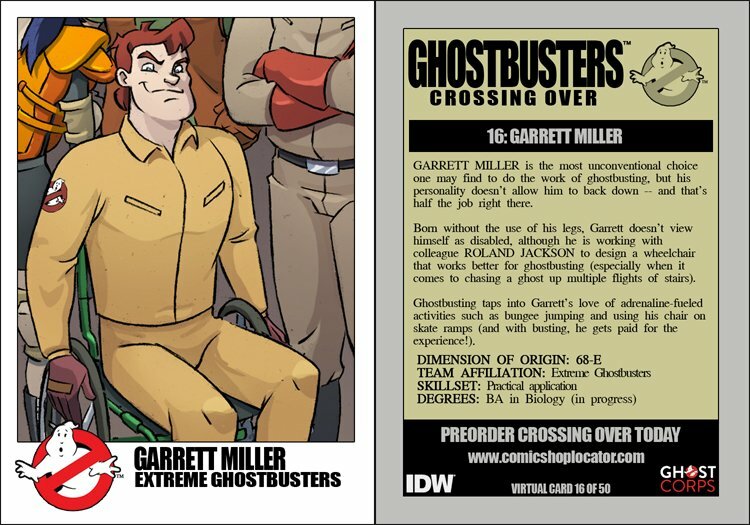 GARRETT MILLER is the most unconventional choice one may find to do the work of ghostbusting, but his personality doesn't allow him to back down -- and that's half the job right there. Born without the use of his legs, Garrett doesn't view himself as disabled, although he is working with colleague ROLAND JACKSON to design a wheelchair that works better for ghostbusting (especially when it comes to chasing a ghost up multiple flights of stairs). Ghostbusting taps into Garrett's love of adrenaline-fueled activities such as bungee jumping and using his chair on skate ramps (and with busting, he gets paid for the experience! ).